Mitchell Block is a lineman for two counties. He drives the main roads tending to the power lines along the western lakeside of Michigan. It’s more accurate to say Block is an apprentice lineman, a few months from earning his journeyman’s card after four years of training. He can look forward to a union-protected salary, a retirement at an average age of late 50s, and yearly earnings north of $100,000 after overtime, according to an energy company official. 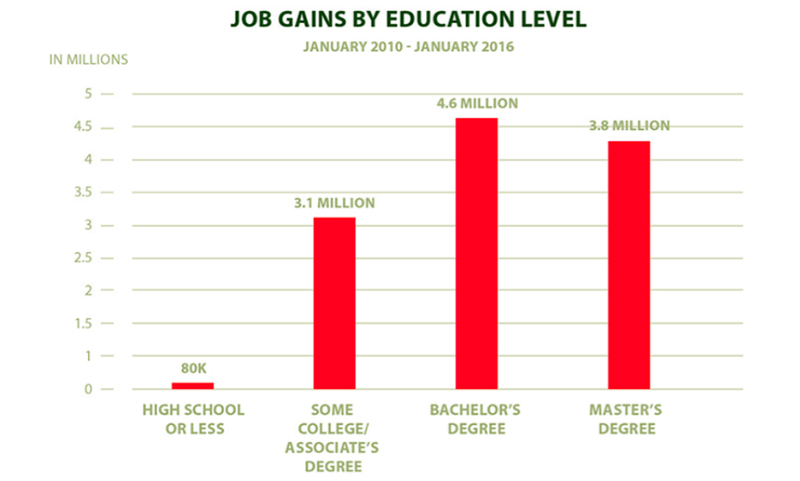 Block is a member of the so-called middle-skills workforce, which comprises the lion’s share of the American labor market. 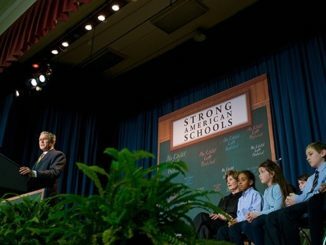 Despite making up a critical share of the economy, middle-skills jobs — those that require more education or training than a high school diploma but less than a four-year college degree — are only now slowly beginning to gain the attention of those focused on the K-12 education pipeline meant to prepare American children to meet the country’s labor needs. “I don’t plan on changing jobs again,” Block said, shortly after returning to ground in his hydraulic bucket. For 18 years, he helped plan the routes of new power lines for Consumers Energy, the local power company. During most of that time, he said, he dreamed of being up on those lines. Block enrolled in a 13-week line workers program at Lansing Community College, one of two in the state that offered the specialized training required for the job. 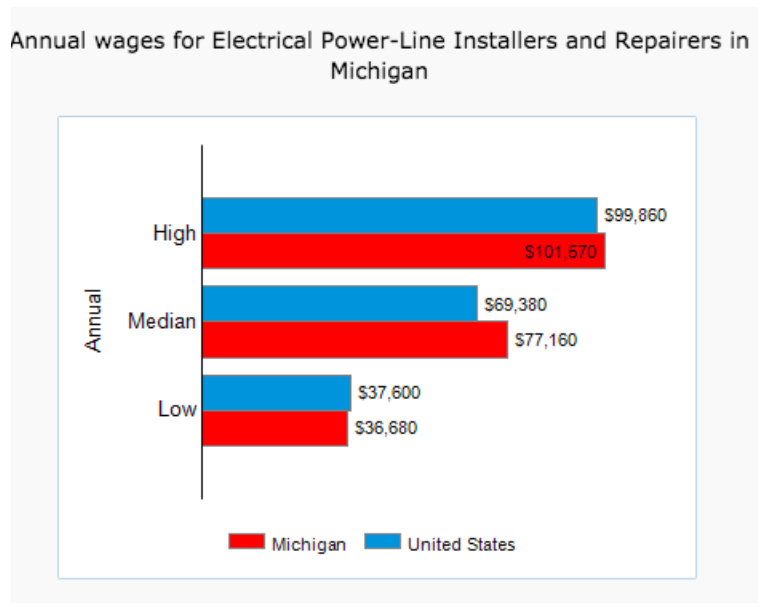 Through an initiative to develop more students qualified to work on Michigan electric lines, his community college performance earned him a spot at Consumers Energy’s pole-climbing boot camp for the company’s future line workers. The collaboration between state higher education, business, and local government created a rapid career path change for Block and produced more than 100 line workers amid statewide shortages. Differences in compensation reflect seniority and overtimeSource: CareerOneStop, U.S. Department of Labor. 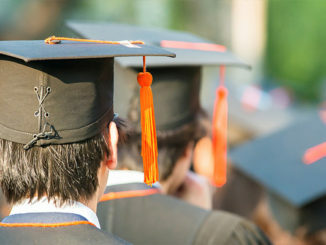 Success stories that involve parlaying a vocational certificate into middle-class security need more attention, workforce groups say. 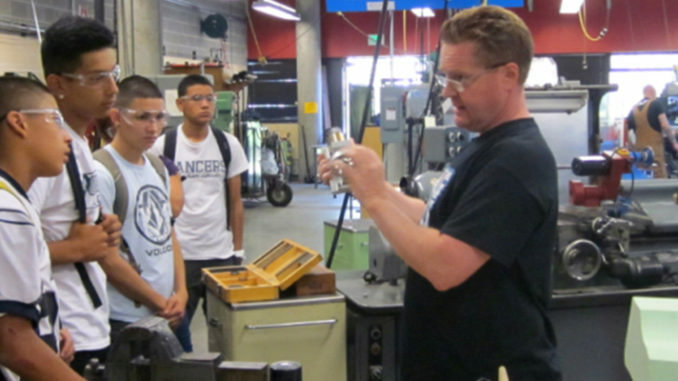 A continued emphasis on postsecondary degrees and white- and gold-collar jobs puts even more pressure on educators and employers to answer the unmet demand for middle-skills workers. 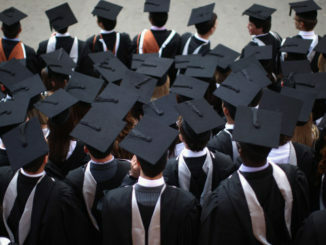 So, advocates say, students must be exposed to these less-considered but greatly needed careers — and they must be taught that earning a four-year degree is not the only path to success. 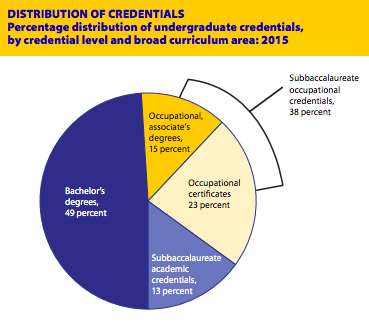 Source: “Trends in Subbaccalaureate Occupational Awards: 2003 to 2015,” National Center for Education Statistics.